I really like staff both day and night shift, they were helpful and suggest a good option . The hotel is about 8-10 minutes walk from Aljunied MRT station. Walking to and from the hotel the MRT is safe. Water bottles are being replenished everyday. The hotel staff is friendly and helpful. There are restaurants and hawkers near the hotel. This hotel suits me well. Easy access to my trip destination, lots of convenience stores around the hotel, near Aljunied MRT Station. Calm and clean sourendered by good cheap eating places. Hotel 81 Lucky This rating is a reflection of how the property compares to the industry standard when it comes to price, facilities and services available. It's based on a self-evaluation by the property. Use this rating to help choose your stay! 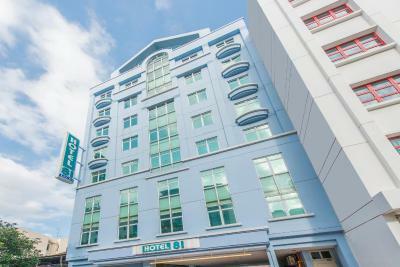 Located away from the hustle and bustle of the city, Hotel 81 Lucky offers accommodations in Singapore. Free WiFi is available throughout the property. It is 2,150 feet to Aljunied MRT Station. OneKM Shopping Mall, Singapore Sports Hub and Kallang Wave Mall are 1.1 mi from Hotel 81 Lucky. Suntec City Convention Center is 2.8 mi from the property. Changi Airport Singapore is 8.8 mi away. Simply in design, rooms are well-appointed with modern furnishings. Each room is fitted with a tea/coffee maker and a flat-screen TV with cable channels. Guests can approach the 24-hour front desk for luggage storage. Guests can explore the surrounding area for a variety of shopping and dining options. When would you like to stay at Hotel 81 Lucky? This air-conditioned standard double room opens up to views of the garden. It is fitted with a TV and an electric kettle. The private bathroom includes shower facilities, a hairdryer and free toiletries. This air-conditioned standard twin room opens up to views of the garden. It is fitted with a TV and an electric kettle. The private bathroom includes shower facilities, a hairdryer and free toiletries. 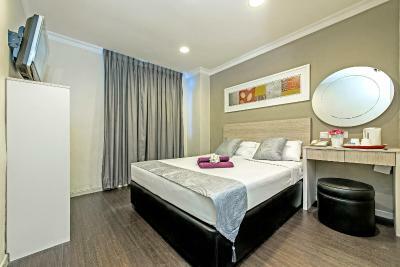 Hotel 81 Lucky is accessible to eateries, Mass Rapid Transit (MRT) and bus-stops. Soak in the local culture, hop onto a bus or train, and dine at the nearest coffee shop or food centers; shop at the city or the shopping malls in the suburbs. House Rules Hotel 81 Lucky takes special requests – add in the next step! Hotel 81 Lucky accepts these cards and reserves the right to temporarily hold an amount prior to arrival. 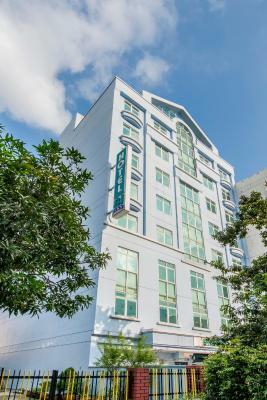 Good location, walking distance from MRT station. Room was clean, can't complain about that. The lift been out of order for more than 3 days making us carry the weights and things all the way up to 5th floor. The cigarette smell of my room in 611... I really hate it!!! 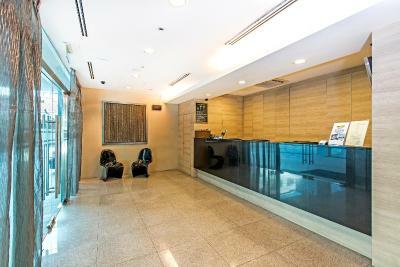 The location is fantastic, clean, close to bus & MRT station, restaurant and so on. Dirty floors. All furniture is old and broken. Tiles in the bathroom are broken and mould could be seen all over. There is no shower curtain so when having a shower everything gets soaked. Floor tiles get very slippery so one has to be very careful after having a shower. One day we found a cockroach in our bedroom and the day after there were other two, one on the floor and the other running on our bed! Locality, just a short walk to train station. Staff are very helpful. Bed linen is changed every day. You can't expect much from 2-star hotel but at least in the room, you should have a place where a person can put somewhere clothes. This little box is not enough for one person, never mind two. I don't know what was it. Definitely, this is not a wardrobe. My husband kept all his belongings in his suitcase, on the floor. The shower is without a curtain so, when you wash, water is all over the bathroom and your belongings. Not even a shelve in the bathroom to store some things. The blanket was with a big hole, not nice at all. There was no smoking room. The hotel is located in the middle of a red lighting district so it’s not really suitable for a woman to stay alone. The washroom isn’t really nice. The location is a little far away from the station but there’s good restaurants around it. The staff was helpful and the wifi worked well.